Hello, everyone! It's Broni here with you today. Recently I needed several sympathy cards. I really don't like making them, mostly because of the sadness associated with them, but I'm also not sure how somber or how cheerful they should be. So I tried to come up with a design that incorporated both of those elements and then I created a few of them to keep on hand. I supposed they could be used as "Feel better" cards as well. I started with a standard 8.5 x 5.5 piece of gray cardstock (half a sheet). 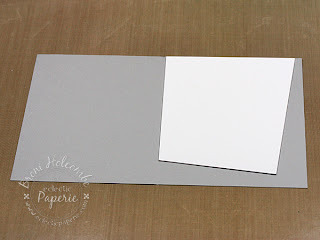 I already had several rectangles of white cardstock on hand, and laid one on top of the gray to see what angle I wanted for the top layer. I lightly marked the top and left side edges with a pencil and cut along those lines. 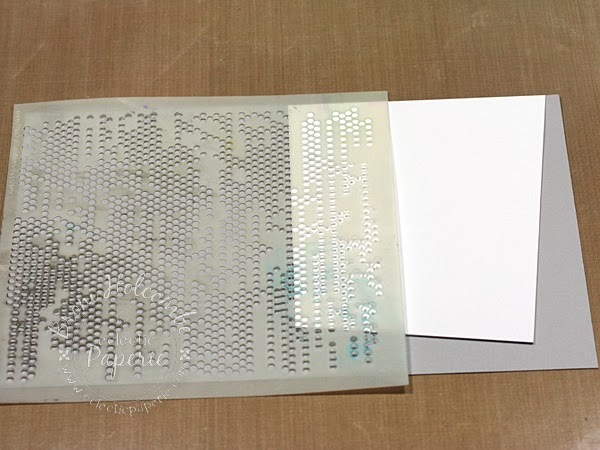 Then I used my Tiny Circles stencil and some gray ink to create a section of small gray dots along the left edge of the white layer. They almost look like rain drops. 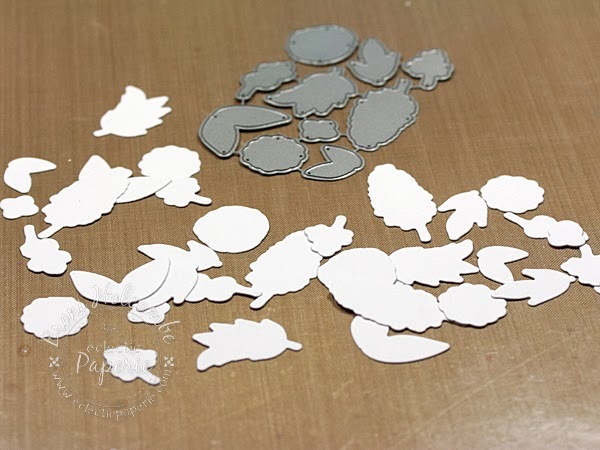 Next I took my Fresh Cut Florals die set from WPlus9 and ran it through my die cutting machine several times with some white cardstock. 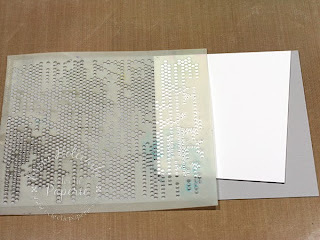 I like having several cut and ready to use, and I keep the extras in a tiny plastic bag with the die set for future use. So that's how I came up with my a little somber/a little cheering sympathy card. I hope you like it! Thanks so much for stopping by today! This card is super sweet and very trendy. Love the minimal use of the stencil and the angled layer. Thanks for the inspiration; I just might have to "case" this one. Oh, so sweet! 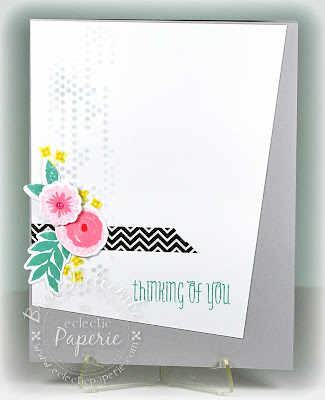 I adore that stencil and how you used it on the card . . .love it! Broni, love how you used the stencil! Tres cool! 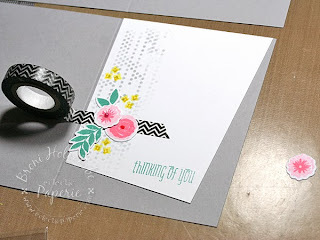 Beautiful card ... love this idea, it's a use do ! I love the step by step! A beautiful card, Broni! I love the light gray circle stenciling with the bright flower on top of it! Happy Thanksgiving! Broni, this card is a beauty. I love the simplicity of the design which makes each element and its placement so important. The soft gray stencilling provides lovely texture and grounds the brighter flower cluster so well. Yum! Broni, first I LOVE that they say thinking of you which is always more uplifting than sympathy! LOVE the angle of the card front and you stenciling and flowers and washi tape details! FAB card! I LOVE The simplicity of this card. It's so chic and elegant. Beautiful.